At Polk State, our amazing faculty and staff create an inspiring workplace. Reporting to the Dean of Academic Affairs on our Lakeland campus, this position provides support to all academic operations and is an excellent opportunity to promote and improve the academic success of our students. We offer a collaborative, creative and culturally diverse work environment. If you want to be supported in your efforts to grow professionally and to be recognized for your contributions, then come work for Polk State. This position provides support to academic programs and departmental operations, working primarily with adjunct faculty management. This includes recruitment, orientation, staffing, and evaluations. It requires the analysis of complex problems, planning of various interrelated activities, and the coordination of multiple projects or functions. The position requires major decision making, data compilations and interpretation, usage of multi-media resources, and the development of recommendations to senior administrators intended to help ensure the success of the academic function. 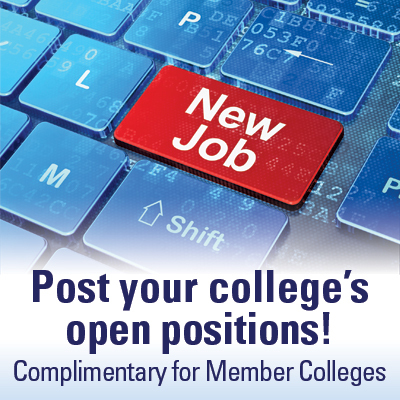 • Acts as academic campus administrator during the evening hours of 5-7pm, Monday through Thursday. This position is a level P17. To determine starting salary, Polk State College takes into consideration the pay level minimum, the candidate's qualifications and internal equity factors. • Ability to communicate well both orally and in writing with a variety of constituents of considerable importance within and outside of the college. • Ability to work independently with the responsibility for planning details and methods to obtain definite objectives and to make decisions within broad limitations of policy and professional standards. Graduation from a regionally accredited college or university with a masters degree in a discipline within the Associate Dean's area of responsibility. • Background Screening: Reference checks and successful completion of a Level II background check (fingerprinting) will be required prior to employment, including third party Education Verification. • This position will close at 8:00 a.m. on Wednesday, January 30, 2019.